Amelia has been involved in dancing for over 30 years. She received her Bachelor’s Degree in Dance Performance and Dance Education Certification from Winthrop University. While at Winthrop, she performed in many shows with Winthrop Dance Theatre and Rhythm Quest, as well as, several student choreography showcases. Amelia has toured with Dance Caravan and has also performed with Sinergismo Dance Company of Charlotte, North Carolina. She has performed with the Charlotte Philharmonic Orchestra, Carolina Voices, and the Singing Christmas Tree. She was a semi-finalist in Fox Network’s television show So You Think You Can Dance. 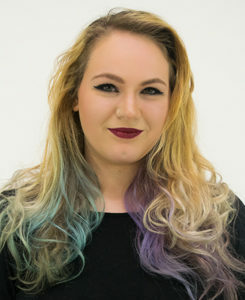 Amelia has played the role of Bebe in Theatre Charlotte’s production of A Chorus Line. She has also received several awards for her innovative choreography. Amelia is currently teaching Modern, Jazz, and Tap Dance at Northwest School of the Arts in the Charlotte-Mecklenburg School System. She was the choreographer for NWSA’s production of Les Miserables and has served as Assistant Choreographer for 12 other NWSA productions including The Color Purple, and All Shook Up which won an astounding number of Blumeys at The Blumey Awards in 2017. She has choreographed 10 of NWSA’s Middle School Musical Productions including Seussical Jr. and Thoroughly Modern Millie Jr. Amelia has been the Assistant Choreographer for Theatre Charlotte’s production of The Full Monty and the Choreographer for C.A.S.T.’s production of Marat/Sade with which she won the Metrolina Theater Award for Outstanding Choreography in a Drama for Marat/Sade. She has also presented many other original works for the GAMUT Dance Company of Davidson College, Winthrop University’s ST-Arts Program, Carolina Voices, Northwest School of the Arts, and Momentum Dance of Fort Mill, South Carolina. Amelia looks forward to continuing creating new works for the stage, inspiring others through the art of dance, and living the life of an artist. Amelia is currently teaching Modern, Jazz, and Tap Dance for Northwest School of the Arts in the Charlotte-Mecklenburg School System. She now teaches Tap and Jazz Classes at Davidson College, Charlotte School of Ballet, and Elite Performing Arts Company of Gastonia; and is a licensed Zumba Instructor. 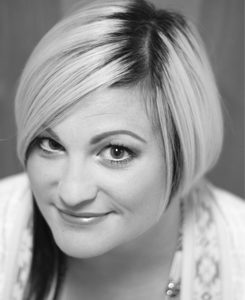 She was the choreographer for NWSA’s production of Les Miserables and has served as Assistant Choreographer for their productions of 42nd Street, Aida, Pippin Thoroughly Modern Millie , The Music Man, West Side Story, Footloose, The Color Purple, and Shrek The Musical which won an astounding nine Blumeys at The Blumey Awards in 2014. Amelia has been the Assistant Choreographer for Theatre Charlotte’s production of The Full Monty, the Choreographer for C.A.S.T.’s production of Marat/Sade, and NWSA’s Middle School Productions of Seussical Jr., Fiddler on the Roof Jr., Beauty and the Beast Jr., The Little Mermaid Jr., and Aladdin Jr. , and Thoroughly Modern Millie Jr. She received the Metrolina Theater Award for Outstanding Choreography in a Drama for Marat/Sade for the 2009-2010 Charlotte Theater Season. Amelia has served as a Guest Artist in Residence at Winthrop University for their Summer ST-ARTS program and Guest Choreographer for the Nations Ford Dance Team in Fort Mill, South Carolina. She most recently traveled to the International Thespian Conference with NWSA’s production of The Color Purple where she served as Assistant Choreographer. This season she will present a new piece on the Spring Gamut Dance Concert at Davidson College, along with many new works on the Northwest School of the Arts stage. Cierra Lacey has over 21 years of dance experience and training in contemporary, lyrical, jazz, tap, hip hop, ballet, modern, and African dance. Cierra was born in New Jersey, but raised in Charlotte, North Carolina where she explored her passion for dance, while competing and becoming a national title winner at Precision Dance Center. Cierra had the opportunity to attend Northwest School of the Arts, a local arts middle and high school where she received additional training in modern, jazz, and ballet. Upon graduation, Cierra attended Appalachian State University where she was co-captain of the ASU Elite Dance team, performing at every home basketball game, football game, and wrestling match, while also minoring in dance studies. Currently she is still performing with Mufuka Works Elite Roots Dance Company, and Chris Thompson Cultural Ensemble performing African, and Afro russe style of dancing. She has had the opportunity to perform for the Loose Leaves Festival , Fall and Spring Appalachian Dance Ensemble, Boom Festival, and for the Carolina Voices Singing Christmas Tree. Jesse Pellington was born and raised within The Bay Area in Northern California. There is where her love & passion for the performing arts began. A former professional dancer, Jesse has worked with multiple choreographer’s on stage, for TV and film. She has had the pleasure to dance all over the world since she was 15 years old. Her body of work includes being an original cast member of Charlotte’s own all-female ElekTriK Dance Crew, an Atlanta Finalist for BET’s show Born to Dance hosted by Laurie Ann Gibson, background dancer for various artists including Salt ‘N Peppa and Bel Biv Devoe just to name a few. Along with dance, Jesse fell in love with Colorguard at James Logan HS in Union City, CA studying under Scott Chandler. Jesse is a 4 time sport of the arts- Colorguard World Champion (2002-2005). She also continued her color guard career with the Blue Devils ‘A’ Drum & Bugle Corps located out of Concord, CA. She is a master of many genre’s of dance but jazz funk & hip-hop stole her heart many years ago. Jesse retired from performing professionally in 2012 and has now focused on teaching many dance/performing arts programs at dance studios and within the NC/SC School district. 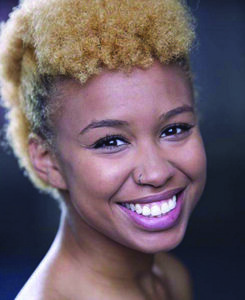 Britney Anita is a recent recipient of a Master’s Degree in Dance Performance and Choreography from New York University’s Tisch School of the Arts. During her time in New York, she had the pleasure to work with great minds like Phyllis Lamhut and Rashaun Mitchell as well as perform works by Seán Curran, Vita Osojnik, Bridget Struthers, Kyle Mullins, Angie Moon Dance Theater, and Asia Dance Due in the Jack Crystal Theater, Dixon Place, and Peridance. Before her time in NY, she grew up attending Northwest School of the Arts in Charlotte, North Carolina in addition to dancing competitively at Carolina Dance Academy for ten years. She then pursued her dance career at Columbia College earning a B.F.A. in Dance Performance and Choreography in 2013. During her undergraduate career she was given the opportunity to serve of the board of directors for the dance department as a public relations liaison and producer of events along with treasurer for the Columbia College chapter of National Dance Education Organization. She’s was chosen to be an apprentice and director assistant with The Power Company, a company in residence at Columbia College for two years and performed with Ebony Dance Theater of SC and 4thright Dance Company of Charlotte, NC. Britney Anita is a teacher and moving artist living and working in the Charlotte, NC area and the surrounding. B.A. has experience in teaching all ages in ballet, jazz, modern, contemporary, and hip hop. 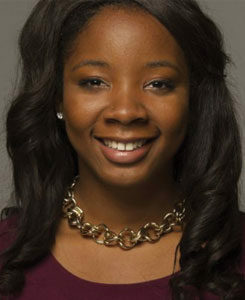 She’s taught at Carolina Dance Academy, the Harris YMCA of Charlotte, and numerous master classes in NC and SC. Bethany Williamson began dancing at 3 yrs old. She has trained under many ballet techniques such as Cecchetti and Royal Academy of Dance. Attended Northwest School of the Arts 6th-12th majoring in modern dance. Trained with Caroline Calouche & Co youth ensemble for modern dance. Performed with Charlotte Youth Ballet and various others. Currently working on certification for Cecchetti. She has been teaching modern at Belmont School of Ballet and assisting teachers with ballet lessons at both Belmont School of Ballet and Charlotte School of Ballet for 3 years. Mary Beth Young is currently “Professor Emeritus of Dance” at Winthrop University. 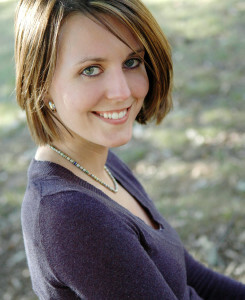 She holds a BFA degree in dance from East Carolina University and a MA graduate degree from Texas Woman’s University. She has also done graduate work at the University of Michigan, UNCG, and the American University in Washington D.C. She taught at Winthrop for over 30 years in various capacities – after assisting in developing 2 dance degrees, (in performance and education) and a dance minor. At Winthrop she served as Director of Dance, Artistic and Associate Director of Winthrop Dance Theatre, and Associate Professor of Dance – in addition to being choreographer, teacher, mentor, and advisee to students throughout the University. Mary Beth was 1 of 4 professors who served on the steering committee for the highly successful St-Arts program – a middle school gifted and talented program serving 5 SC school districts. She was the St-Arts Dance Coordinator for over 24 years. She has taught and had choreography performed in Florida, Pennsylvania, Ohio, Virginia, Tennessee, Kentucky, and throughout the Carolinas. Her choreography has been performed and adjudicated at ACDF. (American College Dance Festival). She has also performed and taught dance in Eastern Europe. Her teaching for a group of disabled adults in Poland was a highlight of her career. 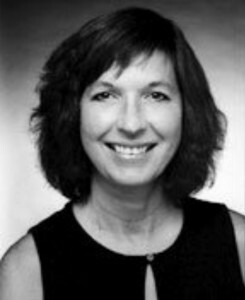 Mary Beth served as President of the only state-wide dance organization, SCDA, and was Dance Festival Coordinator in 2006 with over 800 participants. She was dance coordinator and choreographer of “Create Carolina,” the Dance Arts Center of SC, and the Academy of the Arts held at Winthrop University. She also served as choreographer for the “Merry Pranksters” and developed and choreographed the “ROCKHETTES” – the signature performing dance group for York County’s annual CHRISTMASVILLE. Mary Beth is also a first degree Blackbelt in Tae Kwon Do and has taught self defense in various settings- including teacher in service days in the public schools. Mary Beth considers her biggest professional accomplishment to be her former students who are presently working and teaching in dance. She has students working in all areas of dance and theater where they are making a positive impact in the world. Brian Winn, a native of Rock Hill, SC, received a B.A. in Dance Education from Winthrop University, where he was also a South Carolina Teaching Fellow. While at Winthrop, he studied under artists such as Sandra Neels, Mary Beth Young, Caroline Calouche, Meg Griffin, Stephanie Milling, Stacy McConnell, Bethany Tuffy, and Eddie Mabry. 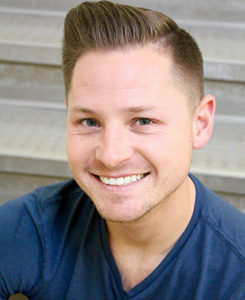 Brian performed and choreographed for various shows at Winthrop including Winthrop Dance Theatre, Senior Choreography Showcase, and Student Showcase. Brian was also a dancer and choreographer for the Winthrop Repertory Ensemble. Brian was first introduced to dance through the marching arts where he performed with multiple competitive groups around the country. He continues to instruct, design, and direct color guards in the area, including Marvin Ridge High School and World Championship Finalist Etude Winterguard. As an educator, Brian has taught dance in public schools, summer camps, and as a guest artist for various groups, such as the Charlotte Dance Festival Youth Ensemble. Brian spent 3 years with Caroline Calouche & Co. both as a company dancer and as an aerial dance teacher. In 2013, Brian was cast in the restaging of Martha Graham’s Panorama where he had the opportunity to work with former Martha Graham Dance Company dancer Kim Jones. Brian’s most recent performing experience was with Plexus Dance under the direction of Juliana Tilbury. Currently, Brian is in his fourth year teaching dance at Northwest School of the Arts in Charlotte. Tabetha Cerceo, affectionately known by her students as “Miss Tabby,” is no stranger to the dance studio having begun dancing at the age of 6. Training and competing in ballet, pointe, tap, jazz and lyrical, dance quickly became her universe. It came as no surprise to those who know her that she earned her BA in Dance from Columbia College in 2005. Tabetha has been a part of the dance industry in Charlotte for the past 10 years and is extremely excited to be a part of the Momentum team! When she’s not dancing up a storm or taking photographs (her other passion), Tabetha is spending time with her husband, Jay and their two children James & Genevieve!